Real Estate; the world where the fight to be superior has gone to another level. Especially in Pakistan, where real estate business can be seen blooming in all its shades. Nowadays, even if you earn few bucks, the first suggestion someone gives you is “Invest krdo bro.” Even you yourself know that the growing real estate market is the ultimate option for safer investments. However, we all know that this logic sometimes turns around and slap you right in the face. *hint: Baharia..* My fellow real estate investors know what tragedy I’m talking about. Traditional marketing, without a doubt, has been benefitting the business world from the very beginning. But like it is said, ‘change with time’, it’s time to move over from the old day’s strategy. No matter what kind of business you are part of, digital marketing services has become the ultimate need in the contemporary world. Especially in a business, like real estate, the amount of exposure digital marketing provides to one is incomparable. However, on the other hand, making real estate businessmen realize this the need of today is a task in its own. Let’s get on with some statics to sound specific then, shall we? In 2010 alone, the number of real estate transactions carried out online was a shocking 85% of the total market. Yep, 2010 was when people around the world started realizing the magnitude digital marketing can create. More than the statistics, the measure setbacks solved by digital marketing in real estate business shows how badly it was required. Gone are the days when one has to go through a bundle of property ads to find the home they dreamt of all their lifetime. With digital marketing, finding your dream home is as easy as one click. The mightiness of Search Engine Optimization (SEO) has increased the credibility of digital marketing. And this in return has made Real Estate business mightier than ever. The keyword phrase ‘house for rent in California Used to find properties with-in California, US, made us baffled. Apparently, More than 25% of searches done for this keyword comes from outside the US. But the US is a country where digital marketing has reached heights where traditional marketing couldn’t think of reaching. But what about Pakistan? 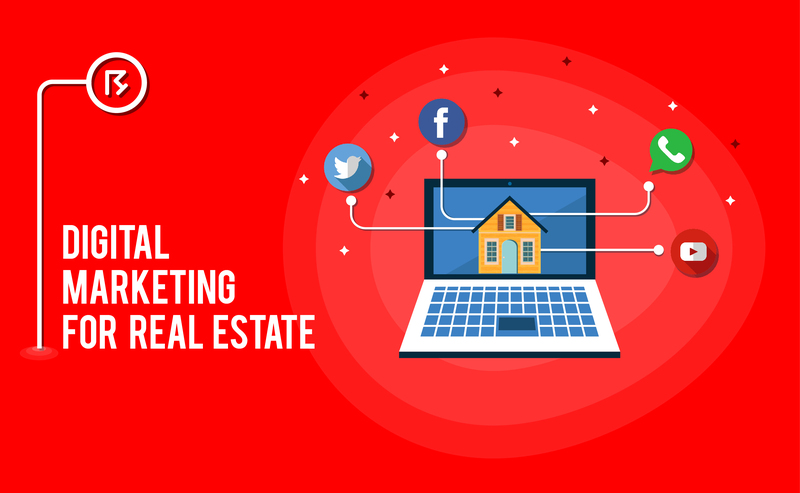 How Significant Is Digital Marketing For Real Estate Business In Pakistan? Like everything else, digital marketing found its way in Pakistan pretty late. One of the reasons of this powers denial lies with the widespread of traditional marketing. Even in the real estate business, traditional marketing had stuck firm feet in the industry. Most of the real estate owners believed that only the old traditions of marketing can build their beliefs and agenda in the minds of their clients. But little did they know, that digital marketing specially social media marketing has become an option to not only establish their beliefs but it also expose their product to a much larger audience. Moreover, after social media came into the larger perspective it eventually made the much-needed space for digital marketing in Pakistan. Not to undermine the fact that social media not only gave the much-needed exposure to digital marketing but it surely acknowledged the issues which were once undebatable even in the mainstream media. Even though the statics shows that only 22% of the total population in Pakistan are active social media users, still I believe the numbers are increasing and so awareness regarding the use and benefits of social media. And this increase in numbers is itself a benefiting factor for the caretakers of digital marketing in Pakistan. According to Faizan Barai; the Real Estate Investment Advisor in Pakistan, since February 2018 the Real estate market in Pakistan showed an overall growth. Especially, the major cities of Pakistan – Karachi, Lahore, and Islamabad and Gujranwala, has witnessed a major growth in the real estate business. This has a lot to do with the usage of social media and the awareness of digital marketing in the major cities. Be The Facebook Guru; The ultimate way to rule today’s business world, it is important to know about even the minute details of Facebook. 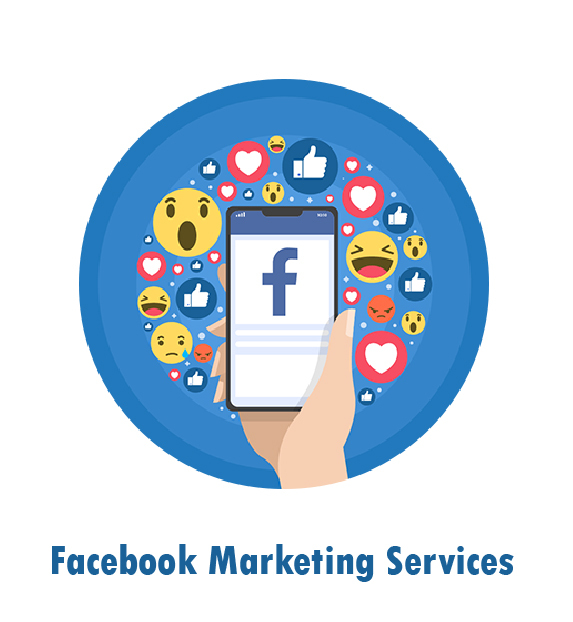 The Facebook advertising tools are a great way to market your product to the wide audience. Twitter and Research; Another social media platform that can help to make a name in the real estate industry are Twitter. All you have to do is setup keyword research on Twitter, This can help in finding out when people of the specific zip code are searching for a home or want to sell one. Last but not least, BE SOCIAL: Believe it or not, the more social person you are the more benefiting you are for your business. And here we are talking about being social-media social. In other words make people feel your presence on Facebook, Twitter, and other platforms. Apart from all the things above, it’s important to take inspiration from the pundits of marketing for real estate business on social media. Author bio: Journalism student, content writer, and a digital marketer trying to make her way in the corporate world. What Leads to E-commerce Experiences Being Poor? How Much Time Do You Spend On Social Media Platforms? Real estate business has a big role in your society. The value of property are becoming higher. And that’s a good news for real estate agents. 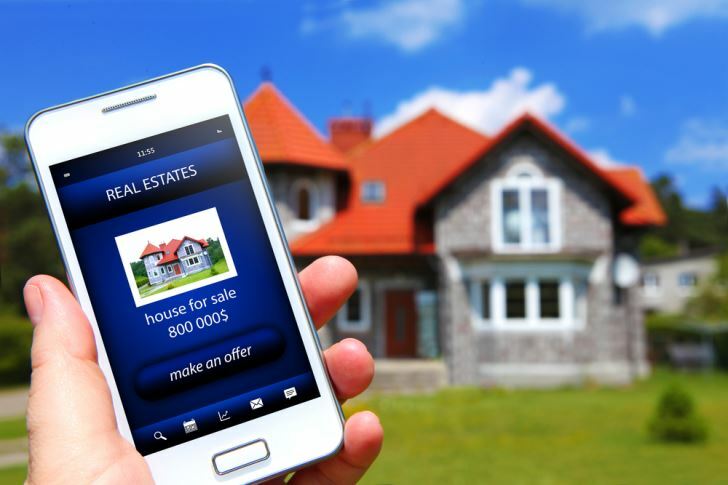 real estate business is one of the fastest growing business in Pakistan almost every real estate agencies are going towards digital marketing. Real Estate business plays a big role in Economy of country and digital marketing now a days is the most effective tool for marketing. It has become a trend that if you have no online presence then you have half value. Good article!